The fact is, if you want to get a quick sense of what a person is about, you can’t beat walking into their house and spending a few moments browsing their living room shelves. The best stuff, like say, Edward Tufte’s 12-color-printed, foldouts-galore Visual Explanations, or Moldover’s circuit board instrument CD, or Cheech and Chong’s rolling-paper-included Big Bambu, always yearns to be picked up and examined, and I think, points to a basic human desire to interact with physical objects. Holding them can feel good, and a talented designer can arrange their atoms in all sorts of pleasing ways that are impossible to achieve with bits alone. Not that we should all erase our hard drives, chuck our routers out the window and replace our iTunes libraries with vinyl. But for the music and books that are really important to us, possessing our own physical versions of those works allows us to express who we are. And when those physical versions are well-made, when they are true artifacts, owning them becomes a source of joy. This belief in the fundamental value of physical goods recently led us to enable artists to sell merchandise side-by-side with digital music on Bandcamp. Of course, it’s one thing to talk about the importance of offering a physical product to your fans. It’s an entirely different thing to actually do it. And so, in the grand tradition of eating your own dog food, we picked two great, independent artists on Bandcamp who already had strong digital sales but no physical offering, we produced physical packages for both of them, and starting today, we’re selling the first of these packages under our newly-formed unlabel, BCWax (more on its un-ness later). You can listen to and buy it right here. Besides dogfooding, our other big motive for creating BCWax is to demonstrate what we feel is the right way to make physical goods, and hopefully encourage some artists to emulate our methods. Too many bands nowadays seem to go about the production of their merch with the sole objective of fulfilling fans’ perceived format preferences, and end up with lackluster products that offer no advantages over a download. It’s an unfortunate mindset (fueled by the rise in print-on-demand services) which in our opinion entirely misses the point. Yes, the world still contains a few people who want their music on CD or vinyl simply because it’s CD or vinyl. However, we’re fast approaching the point at which the convenience of digital files is preferred by everyone, and in order to sell, the physical version must offer something the digital does not. It must somehow be made into an object that every one of your fans has to own, has to hold while they listen to your music, and has to show to all of their friends. It must be transformed from a disposable good into something your fans will fetishize. 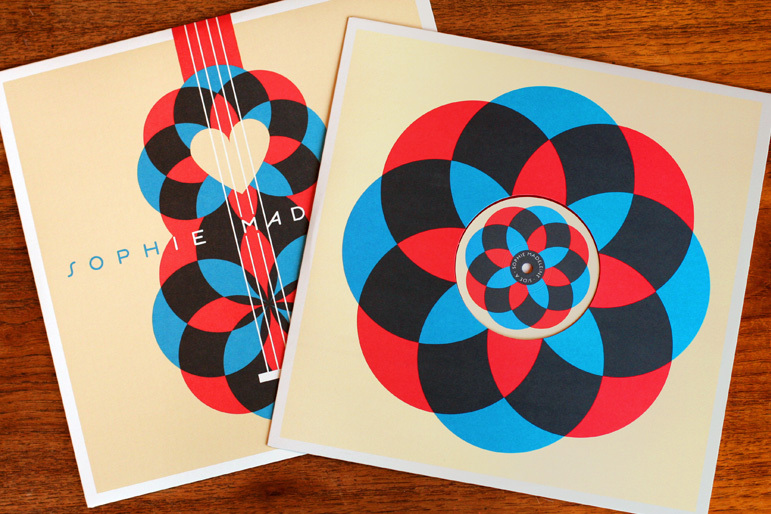 This release, like all BCWax releases to come, was designed by Dan Stiles, the force behind striking poster art for Sonic Youth, Arctic Monkeys, Death Cab for Cutie, and Feist, to name but a very few. In the 1950s and 60s, Reid Miles and Francis Wolff created a series of iconic album covers for Blue Note Records, pieces which were themselves gorgeous and unique, yet clearly part of a whole. Fans were driven to collect them all, and ended up exposed to music they might otherwise have never explored. We aspire to this same lofty goal, and think you’ll agree that Dan (who we stumbled upon at last year’s South by Southwest Flatstock show, standing way out from the hordes) is the perfect man for the job. The print is not simply a reproduction of the cover art. It’s silkscreened, uses an overprint technique that gives it a sense of depth and texture, includes a silver ink not present on the record jacket, is printed onto sumptuous, 100% recycled French Speckletone paper, and is signed and numbered by Dan. You will want to frame it, and you’ll be free to do so without any do-I-hang-this-jacket-on-my-wall-or-do-I-leave-it-on-my-shelf angst. The LP is truly something to behold. Yes, it’s an LP. As in a record. As in vinyl. Not because it sounds better (though it often does), but because of all it allows from a design perspective. A size that allows you to appreciate, not squint at, the cover art. Full lyrics and liner notes right on the sleeve. A die-cut that lets you peek right into the label graphics. And a candy apple red disc that begs to be ogled, handled, and spun around and around. This is an enduring object. The sleeve and jacket are printed onto heavy and even heavier paper stocks (respectively), so the tearing and edge splitting common to lousy vinyl production is not present here. The record itself is pressed onto super heavyweight (200 gram) virgin vinyl, which we chose not for audiophile reasons (though some say a heavier record sounds better), but because of the sense of permanence and quality that a stiffer, heavier disc conveys. When you hold it in your hands, you immediately feel that it’s worthy of the music it contains. There are only 500 copies. In an age of infinitely replicable digital goods, part of the attraction of physical items is the knowledge that only a very limited number exist in the world. It’s just more fun to own number 37 of 500 than to own that thing that anyone can get by clicking a link. The record sounds terrific. This isn’t a lazy direct transfer of the CD. The tracks were remastered specifically for vinyl, and the record went through multiple test pressings to get the sound just right. The digital music files are included. The fact that 99% of the CDs and LPs for sale today don’t come with downloads is beyond comprehension. BCWax records always include the downloads, and in just about whatever format you could possibly want: 320k mp3, FLAC, Ogg Vorbis, Apple Lossless, AAC high/low, or mp3 VBR high/low. That’s the sort of package I want to buy from all my favorite bands. And really, there’s very little stopping them (or you) from offering it to me. Our biggest expense in putting this together has been time, not money. Time finding a great place to silkscreen the prints (like D&L Screenprinting). Time finding a great place to press the records and print the jackets (like Pirates Press). Time finding a great mastering facility (like Mr. Toads). Time finding a great fulfillment house (like…well, it’s the topic of an upcoming post). And time finding a great designer (that one’s up to you, but starting here worked for us). Now please consider thanking us for all the time we just saved you by grabbing BCWax01 before it’s gone, and then making something brilliant, putting it up for sale on Bandcamp, and telling us about it! So, we’re launching BCWax because a) we believe in the eternal power of physical goods to delight, and to act as a legacy and means of self-expression for their owner, b) we believe software gets better when the people building it actively use it, and c) we want to demonstrate to others the kinds of goods we ourselves would like to buy. But there’s one final reason we’re doing this, and that’s to test out a different kind of model for a record label. For BCWax, A&R consists of browsing through aggregate system stats, seeing which bands are exhibiting the early signs of success, giving them a listen, and discovering favorites. Production and manufacturing consists of taking an already excellent recording and coordinating the production of an awesome physical package around it. Distribution is Bandcamp itself. And the record “deal” is nothing more than a co-marketing agreement, where we recoup our manufacturing costs and then share the profits with the artist (but take no ownership rights in the music). It’s a model that diverges enough from a traditional label role that it seems wrong to even call it a label. “Unlabel” maybe? Yeah, OK, maybe not. We hope you’ll collect BCWax releases because first and foremost, they’re great albums and great physical packages. But we also hope you’ll pick them up because you believe in a world where motivated, independent artists can make a living selling directly to their fans, with little outside help. Thank you, get Sophie’s record right here, and watch this space for BCWax02. P.S. Bandcamp blog readers may enter the discount code “damn” at checkout to receive 15% off BCWax01. As in, Damn, we can’t believe you read this far. P.P.S. Discount code? What? Yep, we’ve just launched discount codes in support of this release, as well as a merch management table and fulfillment partner accounts. Enjoy! This entry was written by Ethan Diamond, posted on January 25, 2010 at 9:54 pm, filed under Bandcamp. Bookmark the permalink. Follow any comments here with the RSS feed for this post. Comments are closed, but you can leave a trackback: Trackback URL. I just wanted to say to the bandcamp people that y’all have made possibly the most inspirational business I have ever encountered! Thank you for everything you have done and will do! I actually go to bandcamp.com to randomly browse music the way I would at a record store… that is something I don’t do at the Apple Store or Amazon, why? I honestly don’t know. Ok, actually this list is very long, there are so many reasons I love bandcamp. It’s just, well, good. Good stuff. Really good stuff. And I think this is what artists and people were looking for. The BCWax announcement just made my day! In regards to fetishizing vinyl. The reason for Vinyl being “fancied” up, is that the amount of people that own vinyl JUST FOR the music, is quickly disapearing. Much like radio and the internet… radio cannot simply just digitize itself and slap it on the internet… companies must create NEW content for it to be worth consumers time/money. If bands just press vinyl to say they have vinyl… there is no incentive to buy. If you are going to make a vinyl… you need to stress the strengths of the medium. I already have the digital files… why would I want the vinyl? Because its something that is worth keeping. All of my CD’s I got rid of, because the plastic jewel case, and the tiny linernotes, and the 1-2 standard pictures dont illicit any sort of attatchment. It is merely the holder of my music, which digital does better. Whereas Vinyl… is something as the BC boys say, is something you can put on your wall. Someone walks in and sees a band vinyl on display and it deserves to be picked up. Yes the owner may only pick it up once every 2 years… but it is like a nice front lawn. practically useless, but denotes a certain status. try putting a CD on a wall and see what happens. Man, what a cool concept! I love this. Honestly? I think this record looks amazing and I’m very tempted to buy one just to have it, even if it will cost nearly $40 to have it shipped to the UK (and that includes the discount). However! I disagree that vinyl needs to be fetishised in this way. In my opinion, this is entirely the problem with modern vinyl releases: that if you want it on vinyl, you’re obliged to pay two or three times the cost of the CD for the privilege, just because it comes with a lot of unnecessary crap you don’t need or want. 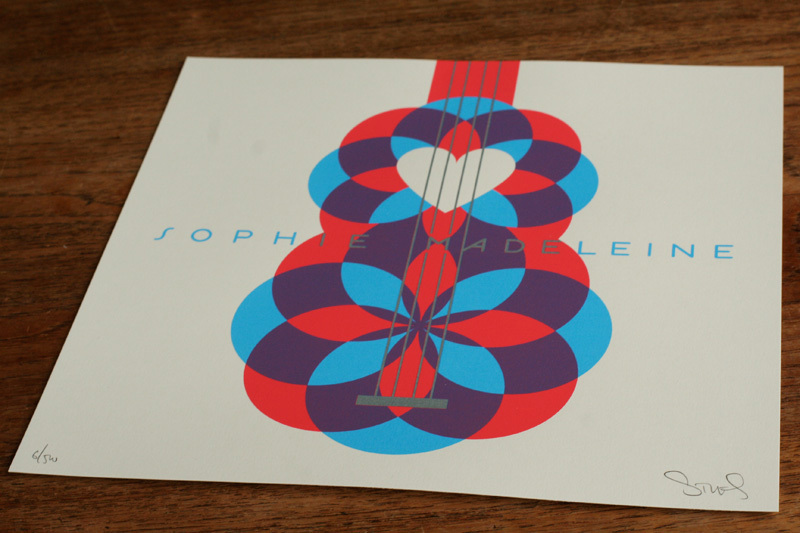 How many times will I marvel at the Sophie Madeleine cover art freebie? Twice? Then I’ll file it in the sleeve and never look at it again and probably bend it one day putting the record back in its sleeve while drunk. By and large I listen to nothing but vinyl (only having a CD player in the car) and it’s mostly 60s, 70s and 80s releases, when records JUST CAME OUT. Nothing fancy, maybe a lyric inner if you were lucky, but generally it’s a sleeve, a decent pressing and a paper bag. And that is ALL I need. It’s the music I’m buying the record for; fancy artwork is just gravy. In fact, over-the-top artwork often seems to compensate for a shortfall in the music. Let’s have more vinyl, definitely, but cut down on the ephemera if it doubles the cost of the object. Sorry everyone, but I felt this needed saying. I do love the concept of Bandcamp and as I said, I’ll probably buy one of these records just to give you the money and encourage you to release more vinyl. Don’t make it just for the collectors, is all, because then your records will wind up becoming just another eBay commodity, to be snapped up and flipped for a quick profit, as the collectors steam in and clear the shelves ahead of normal music lovers. Such a beautiful piece of design work. Beautiful art. Beautiful song. Keep doing the right remarkable things. Thanks! check out that record player! Yeah, it’s definitely too tight in there. 02 is already printed, but we’ll fix it up for future releases. 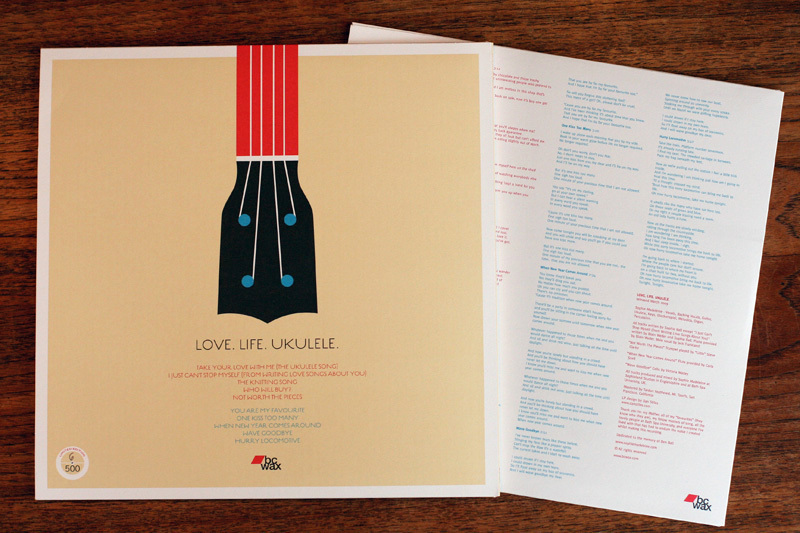 Just received Love.Life.Ukulele. It is seriously gorgeous in almost every aspect. But the cardboard inner sleeve holds the disk in a death grip. It was needlessly difficult to extract the LP from the sleeve. Someone let form trump function in specifying the sleeve. I also have to chime in on what seems to be the zeitgeist. Great initiative, BC! Our band is also thinking in the same terms with our next release. We’re going all analog this time. No digital clipping, no editing drumtracks for hours, no artificial tuning and no harsh sound. Just a bunch of people playing together, the way it should be. Hey guys, don’t you know we love you? We love you for your ideas, we love you for the things you wrote here (ha ha ha, I’m with you as to Iped, or was it Ipud?) and permanent objects. What are your thoughts on new metadata formats and device capabilities to support artwork, lyrics, and credits in digital media? I’d love to know. I love what you’re doing here. But like the books that lined our walls years ago, I am happy to have eliminated CDs from the shelves. The books we gave to the local library. The CDs are boxed downstairs as backups. I digitized my CD collection for a number of reasons. First, access and re-discovery. I have enjoyed finding songs, artists and sounds that simply get lost when you have a large collection. It helps me break out of the lazy habits of rotating just that little pile next to the player. Random shuffle, dynamic playlists, genre lists, and instant access to anything on the fly extends the value of a music collection. Second, “stuff” takes up space and resources that I think can be better used. I do like browsing someone’s bookshelves, but conversation is pretty nice, too. Third, lyrics, artwork and credits have disappeared from CDs, and now I get them all digitally. I miss the 12″ for these reasons, but portability has saved my life and I can’t look back, especially with uncompressed formats becoming the norm. If one were to choose to sell vinyl on Bandcamp by directly handling the outsourcing of the analog mastering and pressing ourselves rather than indirectly have BCWax handle them as a middleman (not that there’s any problem with that), can an offer for complimentary digital downloads with the purchase of vinyl still be done? OMG this is awesome!! Can’t wait to see what LPs you guys release next. If an artist isn’t selling digital music on Bandcamp but that artist has high download numbers, does that artist qualify for BCWax? Just wondering…I give away everything free so I’m hoping I can still be eligible for this excellent program you have going. I actually have been replacing my iTunes library with vinyl in recent months and find it much more enjoyable. I really admire what you guys do. If there are any copies of this left by next Wednesday when I get my paycheck, I will most definitely be buying one. You guys are building something here that musicians like me dream of and it is beautiful. Thank you. this is a wonderful idea – and i don’t even own a record player! its great to see a this kind of investment by bandcamp in its artists and in physical distribution (which artists do so often overlook – for reasons of cost as well as any others). Sail on! limited copies and digital sales. thats the future of music industry. long live to bcwax and kudos to you guys at BC. I agree the physical product must be something special for people to want to buy it. I think cd is not much. man…you guys….you guys are cool. I mean it, not a trace of internet sarcasm here, And what really impressed me most, was the clay davis video. Great job bandcamp team! I just signed up the other day, but I love what you’re doing and how you’re doing it. This place is great, i want to thank Sophie, ’cause it’s through her i’ve found this place. Everything i ever wanted but never saw from a band-site is here; simplicity, no ads, all the media formats etc. Great job! Also, why only vinyl, and no CD’s? They’d have to be limited also and with just the same care and quality of artwork ofcource. Well, that’s it. Btw, love your FAQ’s. Hi Reuben, the co-marketing agreement is just a contract that says both the artist and Bandcamp promote the release to our respective audiences. So we both do blog posts, tweets, Facebook updates, mailing list blasts, and split up the job of reaching out to all the places that have sent the artist traffic in the past (which we discover through the Buzz section of the stats page — in Sophie’s case this included Boing Boing, for example). This is awesome! You are all definitely at one with the zeitgeist! I am so thrilled to hear that BandCamp is doing this. I have a question: What’s a co-marketing agreement? Once the manufacturing costs are recouped, what is Bandcamp doing to earn their split of the profits? Not trying to be buzz killer here. Just wondering. Will band camp be providing promotional services? What kind of marketing is involved? I ask all this because I have a new record that I am shopping to labels now. I will release it myself like I did my last two, should no label be interested. So, I’m doing my homework now about manufacturing costs. If I end up releasing it myself, I want to press LPs and have download codes. I agree the physical product must be something special for people to want to buy it. And, vinyl is beautiful. CDs not so much. To me. I just recently signed up with bandcamp, getting my my back catalogue on your site. I love Bandcamp. I’d love to see nothing more than small independent musicians releasing 500 press limited runs of albums. It’s my idea of heaven, I think the whole value added in music is where the market needs to go. Digital downloads cheapen the value proposition for customers, for some reason physical product that goes with the digital adds that value back into music. I do however wish it was easier for independent artists, that the risk was not so high to the starving artist. $2000 up front and then the terror of having 500 vinyl lp’s to offload to cover costs will dissuade many, it really is a shame that vinyl on demand technology never came, and the demand died before it could. I can only hope that one day pressing vinyl can be as easy as publishing a book printed on demand. So that the effort and cost is in the production of the media not in the creation of the format. I ordered your first pressing, I look forward to it, and if it’s as awesome as I think it will be I will star saving with the aim to do the same in 2010 for one of my own releases. it is amazing to see how you support the music. Another in a long line of excellent ideas, and very timely (as inspiration) as I’m in the process of looking to get a very limited number of 7″s pressed, and mostly for the reasons you state. Spooky! Way to go, Ethan! I miss atoms. Thanks for the wax. I think you guys are tapping into a growing desire. Just in the past few weeks I’ve had a number of conversations with other bands wondering how to create a physical product that people will want to buy instead of download. Hopefully a lot of interesting ideas and designs will come from this. Also, good on you for the “unlabel” idea. Best of luck! You guys seem to understand music in the Internet age much better than most. and not just packaging, but adding extra/exclusive tracks to the physical, even an added 45 single helps to incentivize people to buy physical versions of music. Great job guys. This is how I like to see music being distributed. 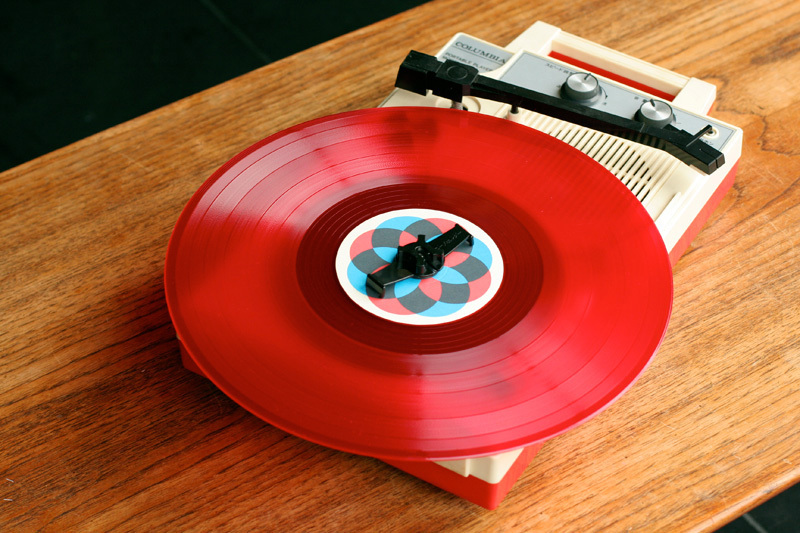 Combining the great looks and taste of a vinyl, and the convenience of a digital download. Everyone happy! That is genius beyond, as is everything bandcamp. A digital platform fighting the vinylfight? And I can already see it: BCWax becoming one of the most powerful record (un)labels in the world, eating up old models, majors and big indies alike. Smartest thing I’ve read this year so far! Congrats on this great service guys! I’ve had such a cool experience with Bandcamp. Good luck with this. Just great. Nothing else to say. Jason! Next time you’re near Berkeley you have to go to The Soundwell. Their website (thesoundwell.com) is straight outta Geocities 1998, but they’re the best. They masterly refurbish old turntables, trot them out on Saturday mornings (and only Saturday mornings) and sell them for between $100 and $200 on average. I’ve bought a few Duals from them over the years that sound just as great as any $500 Technics. And you’ll have something much better than the ability to go wicky wicky, and that is of course FAUX WOOD GRAIN. Awesome product offering…now I wish I hadn’t tossed my record player. Many many thanks guys, really appreciate all the support! Gordon, Gotta Groove looks awesome. Insane and wonderful that there’s a new vinyl plant, and in the Big C too! winterstar is going to master tracks ASAP. We have been without bandcamp in our lives too long. Bought this album without even listening. Hell Yes. lOVE YOU GUYS. Fabulous work on this, guys. Looks phenomenal. You guys are constantly pushing the envelope and this is just one more testament to your market-leading innovation. This is brilliant. Simply brilliant. And I think the idea of an “Unlabel” is actually a perfect business model for these times. Also, way to go with the discount codes!! I plan on using those frequently. All in all, each of these improvements is wonderful and completely in line with Bandcamp’s trajectory of continued amazing offerings. They’re hand picked Chris, but we publish all our manufacturing sources above so that anyone can do the same thing we did. Does BCWax hand pick the artists pressed on vinyl? Or can anyone have wax pressed through BCWax? What a stirring post! I wish this venture every success. Vinyl is where music lives, in my heart. ethan: you had me at “music as artifact.” glad to see so many cool things coming to fruition at BC. i still owe you a reciprocal meal at dolores park café. Hey there Coen, we’re pretty much making this up as we go. For the first two releases, we looked for independents on Bandcamp with strong digital sales but no physical offering, and picked the two albums we liked the most. For future releases, we may do more of the same, or who knows, maybe there’s a band with a strong sales history outside of Bandcamp who wants to try something new with their next release? What’s a little less likely, at least until we see how things go, is that we’ll do a record from an artist without a sales history on or off the site, even if we absolutely love the music. Not saying that applies to you, but if it does, don’t wait for us! Go with some of the places suggested above and release it yourself! So, the question now arises… do you only browse the system stats, or can artist themselves ask you to have a quick listen? “damn”, forgot to enter the discount code at checkout. Ah well, the money goes to a worthy cause, so I don’t feel too bad about it. Congratulations on a great first offering! May many follow. this is great. The funny thing is as I’m reading this I’m thinking I would love to have this from my favorite artist but I doubt I would want to pay the price. Then I clicked through and saw it was only $30 which I would pay without thought for a band I love. thanks! Glad to see that you’re not going to take advantage of the artist! How you guys make money is beyond me, because if my belief in god weren’t rooted in naturalistic pantheism, I’d believe you guys were angels from heaven! I’m currently doing an experiment where I’ve given up digital music (iTunes, etc) for the exact same reasons you’re mentioning here: physicality, reverence, permanence, BIGNESS. I can’t wait to see what you guys do next. I would say that an option for those who DO just want the record would be nice. 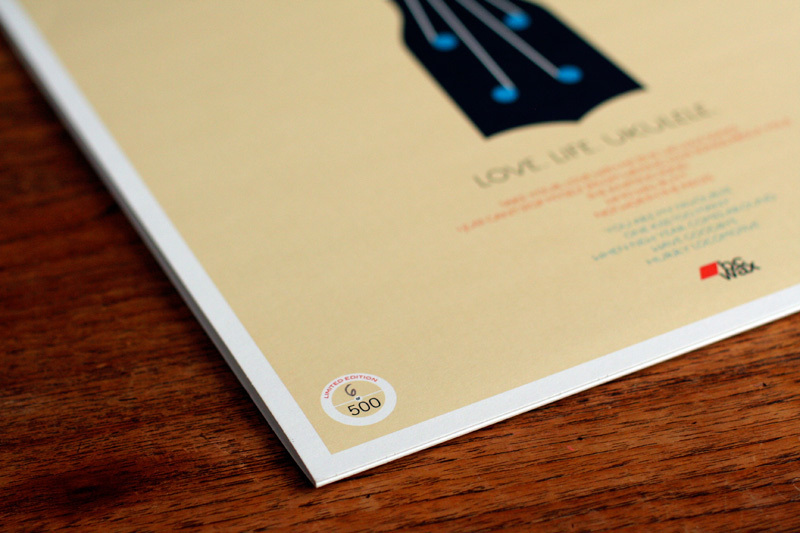 The print is gorgeous, but I’d be much more inclined to get the release at 20-25 sans print. That being said, this seems to be tailor made for me and my little project, so I’m in for one. I’ll be sure and write about it at the blog about all this: yearofrecord.com.